The new work by DDB Sydney aims to put some cheekiness back into the brand. Virgin Australia is returning to its playful roots in its latest campaign. Created DDB Sydney, the campaign features three 30-second spots focusing on the airline’s offerings, such as in-flight WiFi and its all-inclusive airfares. One of the TVCs includes a woman doing ‘amazing’ things with the internet, such as sharing images of her day, researching what actually goes into the food she eats while fine dining and grocery shopping mid-air. Virgin Australia marketing director Michael Nearhos says it worked with director Paul Middleditch to draw inspiration from the “charming” moments in its guests’ lives. DDB Sydney ECD Tara Ford says it was exciting to bring the brand to life. “We’re excited to launch this new direction for Virgin Australia and about what the future holds for the brand,” Ford says. It’s the first work for the brand since Nearhos was named marketing director. 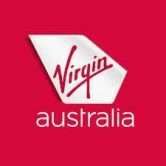 Last week AdNews revealed Virgin Australia is reviewing its media planning and buying.